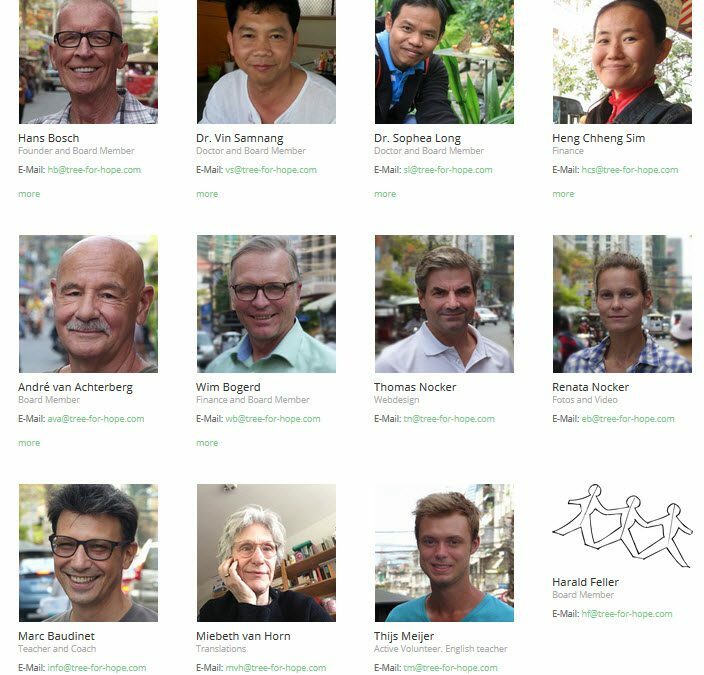 In March 2017 many of our active (board) members came together here in Phnom Penh. With intensive and efficient cooperation we managed to finish a tremendous amount of work. Like the previous years, André van Achterberg and Wim Bogerd joined us here in Phnom Penh to support our projects. Also Thijs Meijer, our youngest volunteer, came over from the Netherlands to join our team and work as an English teacher. Besides the “regular” staff we also received support from Thomas and Renata Nocker, who are living as so-called “IT-nomads”. They travel around the world while working and offered us six weeks of their time spend on our projects and building the new website. Visiting and evaluating the running projects. Doing research on projects and discussing together about which we could and might do in the coming year. Community building: after our visit to the Lvear Village, the villagers are willing to the responsibility to buy water filters, built a well and take care of the drainage of polluted water. An excellent and very positive development. Building a completely new website. Starting consultations with various local organisations. Provide clean drinking water; we replaced the water filters at the Ekapheap school. Measuring and processing the shoe sizes of all the students of our three schools near Maung Russe and the SCAO schools near Phnom Penh for the TOMS One for One shoe giving project. In total we ordered 1226 pairs. Creating a programme to raise awareness about hygiene and garbage problems for all our students. Planning and organization of events in the Netherlands to raise money for the foundation. Making clear arrangements with our local partners to make sure they can continue to run smoothly even when we are not here. On the website you can find more detailed information about all of our projects in March 2017.